As seasons change and temperatures swing, now is the perfect time to review the Spring maintenance requirements for your vehicle. Different seasons put different demands on your vehicle. Now that winter is coming to an end, it is time to prepare for spring conditions and road trips! April showers bring May flowers. For your vehicle, this means it’s time to check your windshield wiper blades and windshield washer fluid. Snow and ice can be hard on the rubber wiper blades, which need to be replaced when they leave behind streaks on your windshield. If the wiper blades can’t clear rain away from the windshield, your visibility and safety on the road is compromised. Watch out for potholes. Swinging temperatures also leave behind road damage in Oakland County. Potholes are very common this time of year, so pay careful attention on the roads. Have your tire alignment checked in the spring to ensure no damage has been done by potholes or winter conditions. An alignment can help maximize the life of your tires, saving you money! Catch up on maintenance. April is National Car Care Month, an opportunity to take care of any issues that you may have ignored during the winter. Preventative maintenance is key to safe driving. By taking care of key components before an issue arises, you can save money by avoiding damage and expensive repairs. 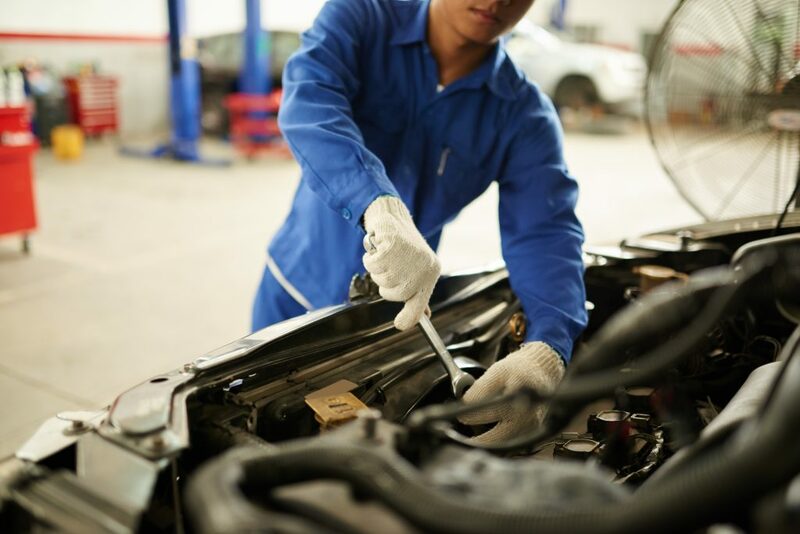 Review the manufacturer’s recommended maintenance schedule for your vehicle or call us at 248-668-1200 to discuss the maintenance your vehicle needs. As Walled Lake transitions from snow and ice to rain and road trips, make sure your vehicle is ready for the change! Schedule your spring inspection by requesting an appointment online, or simply stop by our shop on North Pontiac Trail.